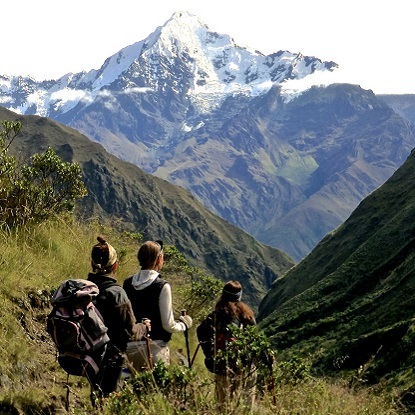 The river canyons and Inca trails of Peru are calling! This multi-sport adventure meets in Cusco where you will enjoy two days in a beautiful, restored colonial hotel and have ample time to sightsee, shop, and acclimate to the altitude. 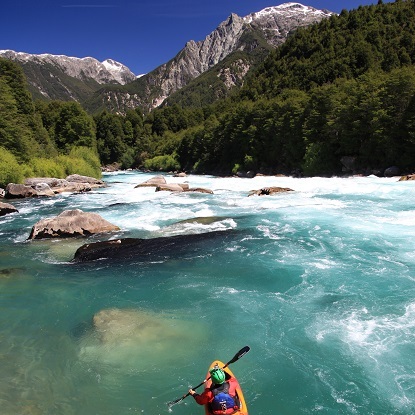 Then, grab a paddle and get ready for a 3 day thrilling whitewater descent through the deep, rugged canyon of the Apurimac River. Camping out on sandy beaches by night, plunging down Class 4 rapids by day! We employ the most experienced guides with solid backgrounds in safety and swiftwater rescue and include safety kayakers on every trip. From this majestic canyon we travel to the dreamy Sacred Valley of the Incas for a rollicking exciting cross country and downhill mountain bike ride on dirt roads and single track trails, passing small villages and ancient Inca ruins. 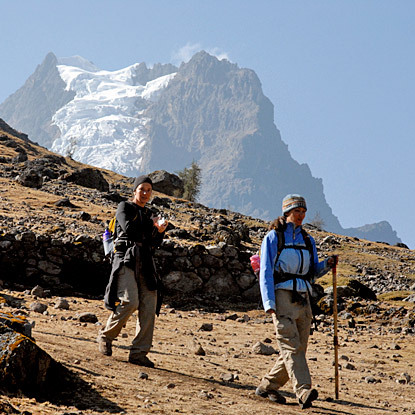 After overnighting in a cozy lodge we lace up the hiking boots and hit the famous Inca Trail. 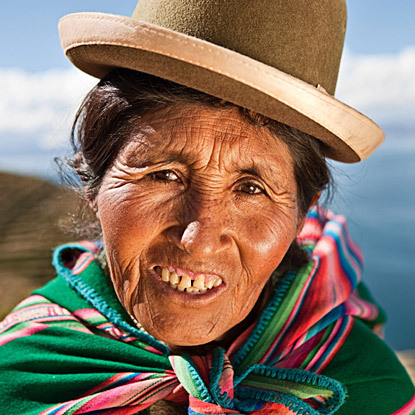 Our gourmet service makes the Inca Trail journey one of the most luxurious treks imaginable. In the golden afternoon light, after 4 days of hiking, we arrive at our goal: the magnificent Lost City of the Incas – Machu Picchu. We will have a full day to explore this wonder of the ancient world with a knowledgeable guide before returning back to Cusco by luxury train. 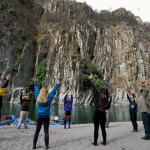 By the end of this “trip-of-a-lifetime” you will have experienced the full range of adventure activities in Peru while seeing many different landscapes, meeting the warm Peruvian culture, marveling at the wonders of the Inca civilization, and making new lifetime friends and memories. If the Incas were the Romans of pre-Columbian America, Cusco was their Rome. The Incas built a vast empire that stretched from modern Ecuador and Colombia to southern Chile. The empire, much larger in size than any previous new world empire, was called Tawantinsuyo – the “Four Quarters of the Earth.” Cusco was the heart of the empire, and its exact center was considered to be the main square of the city. Cusco today is still laid out much as it was in Inca times. Seen from above, it takes the form of a puma, with the river Tullumayo forming its spine, the ruins of Sacsayhuaman the head, and the main city center the body. The center, or torso, was a tongue of land bordered on the east side by the Tullumayo and on the west by the Huatanay. These two rivers now run under concrete. Cusco was more than just a capital city to the Incas and the millions of subjects in their realm. Cusco was a Holy city, a place of pilgrimage that was as important to the Quechuas as Mecca is to Muslims. 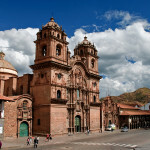 Cusco is a hustling and bustling marketplace where goods and services of all kinds meet the eye. The city impacts all the senses as the sounds greet our ears and aromas of spicy local kitchens tantalize our noses. Truly colorful people draw our attention as they busily display their wares. Merchants smile and make a sale with characteristic cheerfulness. A good place to take it all in is the central “Plaza De Armas”, where in the second floor restaurants, you can enjoy a beer or a cool drink and watch the thriving city action from the balconied terraces above. Everyone has the opportunity to explore Cusco and acclimatize to the 11,000-foot elevation. 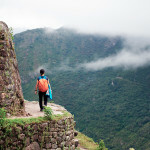 A half-day tour is lead by one of our local guides to visit four impressive Inca ruins outside of Cusco. Here 20,000 men were employed in the construction of this site over a period of fifty years. Here at Sacsayhuaman, you will see stone blocks 8.5 meters high weighing more than 361 tons. It has been said that these ruins are one of the most astounding megalithic structures of the ancient world. However, these ruins are only a preview of what you will see at Machu Picchu! For today’s dining, you are on your own to choose from one of the many tipico restaurants around town. Cusco is a shopper’s paradise, where you can choose from a myriad of Peruvian hand crafted goods to bring home as gifts or souvenirs. The Apurimac River is the furthest and most distant source of one of world’s longest and largest rivers – the great Amazon. Apurimac is a Quechua word meaning “The Speech of God” or “the talking God”. The waters of the Apurimac flow through a gorge 3,000 meters (about 10,000 feet) deep, forming Class III, IV and V rapids. At an elevation around 6,000 feet, this inner canyon possesses imposing sheer rock walls and geological formations, as well as beautiful beaches on which to camp. All these features have made the Apurimac into one of the favorite and choicest destinations of the devotees of river rafting. Temperatures on the river range from the 80’s during the day to the 50’s at night. We start early in the morning from your hotel heading southwest. After a 4-hour drive we arrive at Huallpachaca Bridge, our lunch and put-in spot. 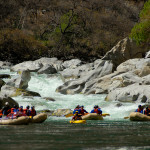 That day, after a detailed safety briefing, we start on the river and go through some class III and IV rapids until we arrive at our first campsite. The next day, we put on our gear again and continue through the canyon. This second day we are paddling as hard as we can through rapids like “Trinche”, “Labyrinth”, and the “Mine Field”. Along the way, we travel between great walls of granite, strikingly carved and sculpted by the erosion from the flow of the water current as we get to “Purgatory”, a class V rapid. Lunch will be served on the river shore and in the afternoon we continue enjoying the amazing class III and IV rapids until we arrive to our next campsite. The last day we start early, attacking rapids like “Dolor de Muelas (Toothache), “Babalua”, “You First”, and “Last Laugh”, a pool-drop section of class V that will be the final test of our teamwork. Finally we arrive at the take out, where a fantastic lunch will be prepared. 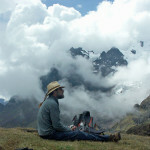 We leave the river valley and begin our bus ride to the serene Sacred Valley of the Incas where our cozy lodge awaits. 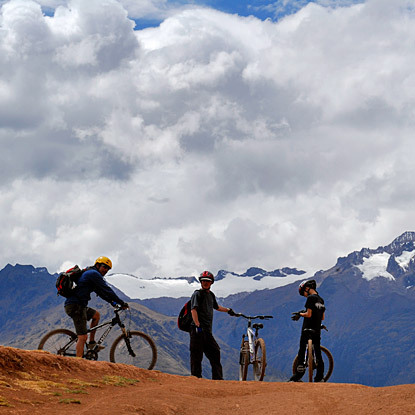 After a peaceful night’s sleep and a leisurely breakfast we will drive a short distance to prepare for Mountain biking into the Sacred Valley – the perfect active way to see the Peruvian countryside and have some fun at the same time! We have front suspension 2010 Marin mountain bikes and the ride can be tailored to all ability levels. We begin our biking adventure pedaling along the shore of the beautiful highland Lake Huaypo. We then begin our downhill cruise at the town of Maras (elev. : 3,500 meters – 11,090 feet) and then continue descending, passing by the archaeological site of Moray – once an important agricultural experimental center. During the ride you will have ample time to take in the beautiful Andean landscape – including impressive views of the snow-capped peaks of La Verónica (elev. 5,682 meters -18,600 feet) and Chicon. (elev. : 5,530 meters or 18,140 feet) This ride takes us away from the other tourists and allows us to see the less trodden, real Peru, as we bike on dirt roads and footpaths and visit traditional villages. Half way through our journey we stop for a gourmet picnic and some well deserved rest next to a 16th century Spanish church. 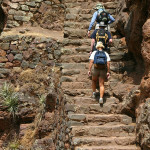 We then carry on downhill, following ancient Inca footpaths, eventually reaching the salt mines of Pichingoto. These are not actually mines, but a rather amazing conglomerate of over 3000 evaporation troughs carved into the hillside where the salt-laden silt gathers and becomes gradually distilled into rock salt. 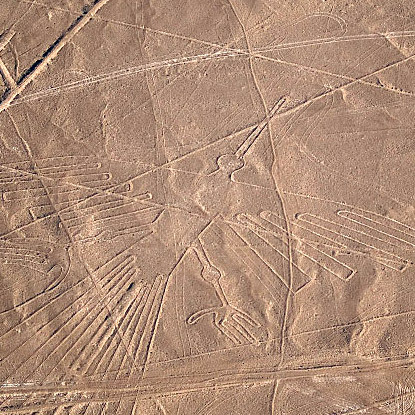 This site is very ancient, but was perfected and developed to a high degree by the Incas. Depending on our time, we can either stop and visit this fascinating complex or continue straight through to the bottom of the Sacred Valley of the Incas. This ride is 80% downhill and covers more than 35 miles of stunning countryside – A true Classic! For those with no interest in riding bikes, we can arrange a modified walking tour following the same route. 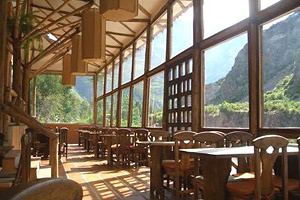 We arrive to our beautiful Sacred Valley hotel in the afternoon leaving plenty of time to relax in the sun. The adventure continues. It’s time for the Inca Trail! 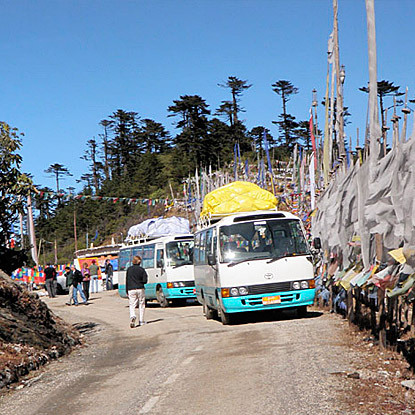 We take an early morning bus to “Kilometer 77” where the local porters will meet us and load up all the equipment as we start our trek. We will carry daypacks with water, snacks, cameras, and clothes to layer on or off with changing temperatures. We visit archeological sights at Wilkaray and pass numerous ancient terracing. Today’s hike is easy going with a gradual incline and incredible views of the snow capped Wecheywilk. We arrive at camp well below the first pass at 7000 feet. We only hike with light backpacks as we have the help of local porters to carry our heavier camping gear and food. Luckily, we’ll be able to call on the strength of the legendary Quechua people whose high altitude accustomed lungs bear the burden more easily than our own. We’ll be camping in 3 season tents every night on the trail. We pass through the incredible cloud forests of Yunkachimpa and Corralpunku, and slowly work our way up the first pass at 14,000 feet. The views are impressive from up here. It’s as if we are finding ourselves on a condor’s perch above the clouds. We then descend down to the ruins at Runkurakay and sleep for the night. We ascend the second pass of 13,000 feet, visiting the archeological sites of Sayacmara, perched out on the edge of the jungle. This is a spectacular day of hiking as we marvel at the engineering feats of the Incas. Stone stairs are carved right into the mountain, with tunnels and bridges for to admire as we descend into the rainforest. We take a 15-minute detour to visit the haunting ruins of Winay Wayna (meaning “Forever young”) where a well-deserved catnap is a welcome afternoon treat. We arrive at the spectacular Sun Gate of Machu Picchu in the golden light of afternoon after the last tourist buses have left the ruins. Machu Picchu, the lost, mysterious city of the Incas, lies before us. One of the 7 wonders of the ancient world, Machu Picchu is a perfectly preserved Inca city that was lost in the dense jungle for hundreds of years. This is perhaps the most famous and awe-inspiring of all the ruins discovered in the 20th century. Discovered less than a century ago, Machu Picchu allows us to step back in time and experience the wonder of living in a stone hewn ancient Incan city that continues to mystify scholars with its spectacular engineering. After our brief initial visit we take a bus to the small town of Aguas Calientes nestled in the steep Urubamba River Valley. We check into the hotel to rest up and enjoy a delicious dinner with the group at one of the local restaurants. 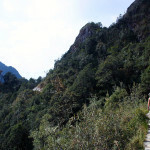 In the morning, we take a bus up the twisty road back to Machu Picchu. Those who still have the energy are welcome to hike the steep staircase straight up to the ruins. We spend most of the day at the ruins with our knowledgeable Peruvian guide who will show us all the wonders of Machu Picchu. In the late afternoon, we climb aboard a first class train for a spectacular ride back to Cusco. The train tracks themselves are a miracle of human ingenuity and tenacity. The ride down the mountain will give you ample time to reflect on your journey by foot and provides us with an early evening arrival in Cusco. After freshening up, we gather for a delicious and festive farewell dinner. Cheers to a great trip through magical Peru! It is time to say farewell! Today is your departure day from Cusco. Flights generally leave in the morning. This is the official end of your Bio Bio Expeditions adventure. 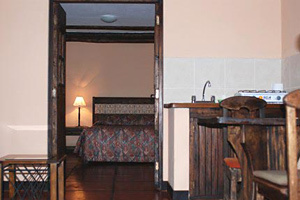 If you want to extend your stay in Peru, additional accommodations can be arranged upon request. If interested, we highly recommend a visit to the rainforest. We hope you have enjoyed this fantastic Peruvian Adventure! 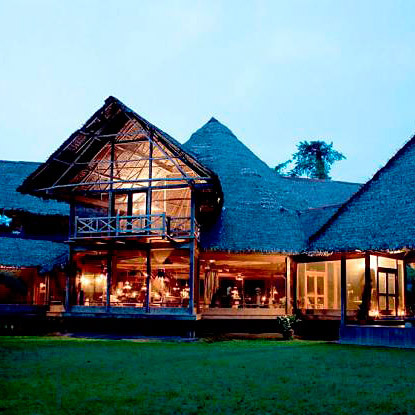 From $4,300 per person, based on double occupancy, depending on # of guests. 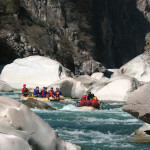 Raft the mighty Drangme Chhu River in the exotic and remote Himalayan Kingdom of Bhutan. Enjoy the colorful cultural festivals and awe-inspiring viewscapes on this world-class odyssey. 3 days of Class 4 rafting! Deep canyon, white sand beaches, amazing whitewater. Thrilling cross country and downhill mountain bike ride through ancient ruins and Andean villages. 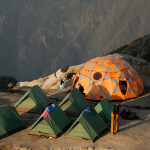 Four days of trekking on the classic Inca trail – 4 season tents, full porter support, grand “dining hall” tent, delicious food. Arrive to Machu Picchu! Overnight in beautiful hotel in Aguas Calientes. Full day tour of Machu Picchu. First class train ride back to Cusco and festive farewell dinner.